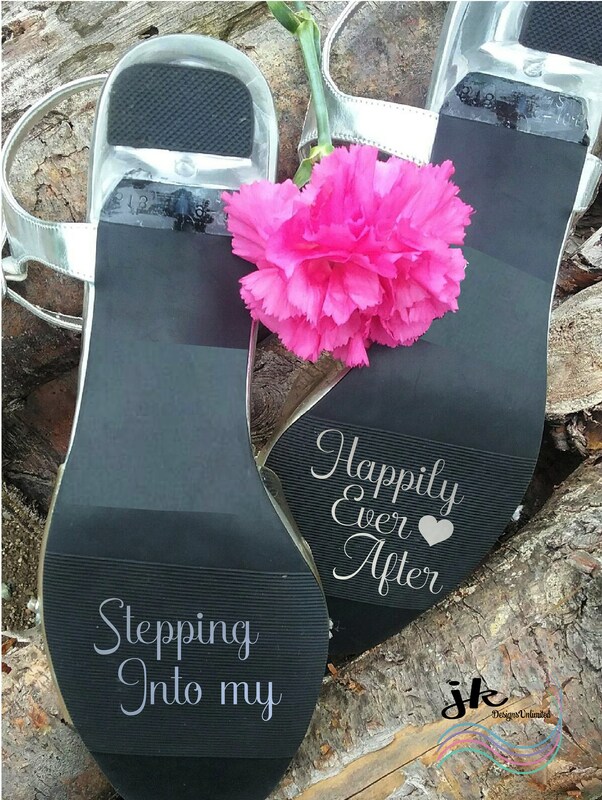 Custom Name Decals for Wedding Shoes. 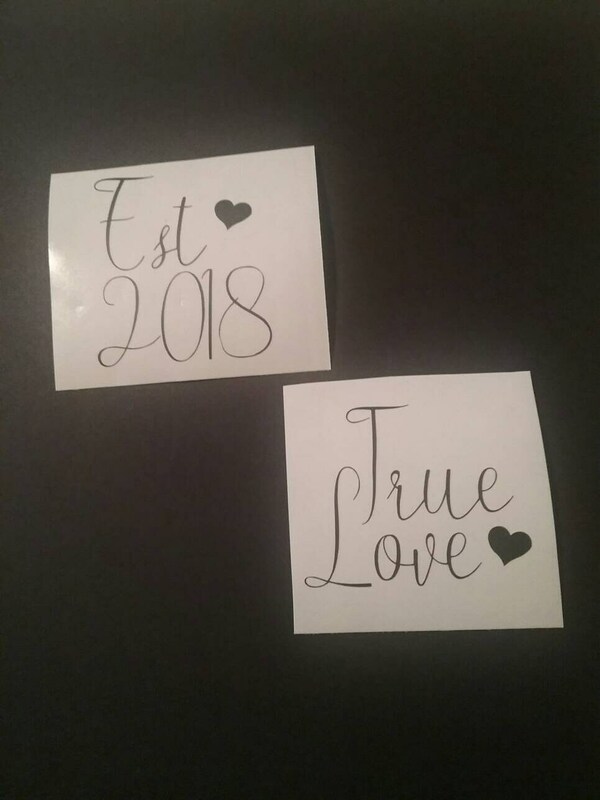 These DIY Custom Wedding Decals are the perfect way to add a special touch to your Big Day or Event. 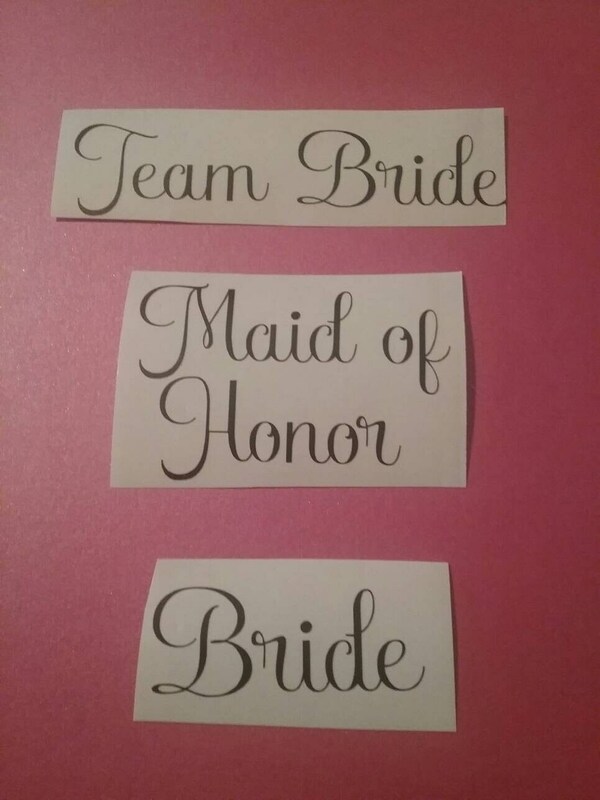 Bridal Party gifts, water bottles, and much more! 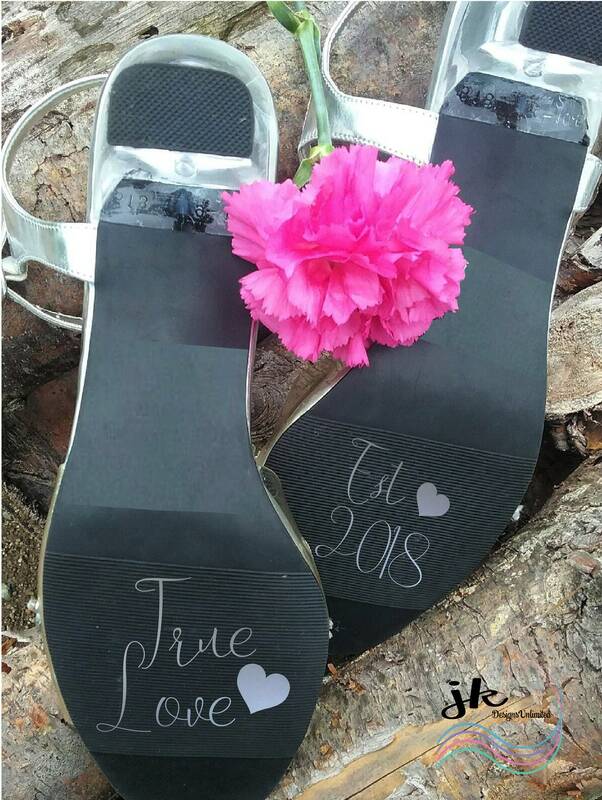 True Love Wedding Shoe Stickers are the perfect addition to any special Bride's day. 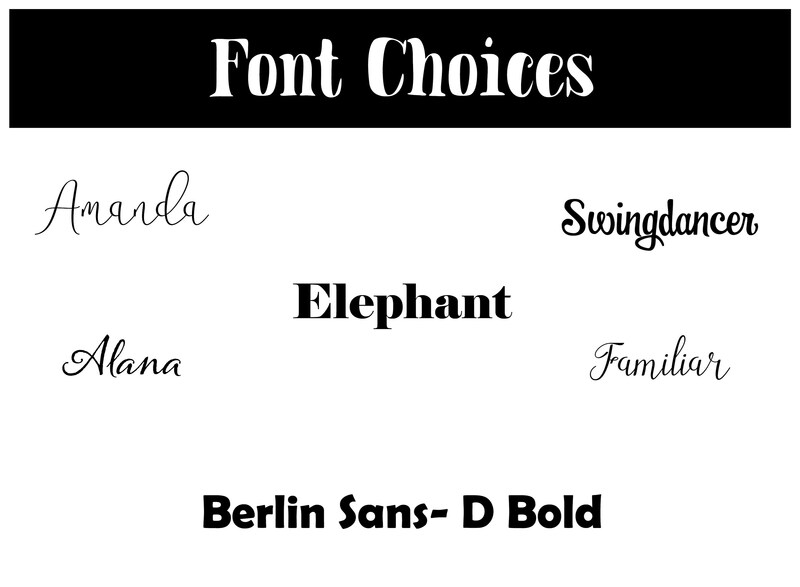 Small details can go a long way into making a statement...so why not make a statement every step of the way! Measurements: 1.5" x 1.5" If you need another size please contact me. 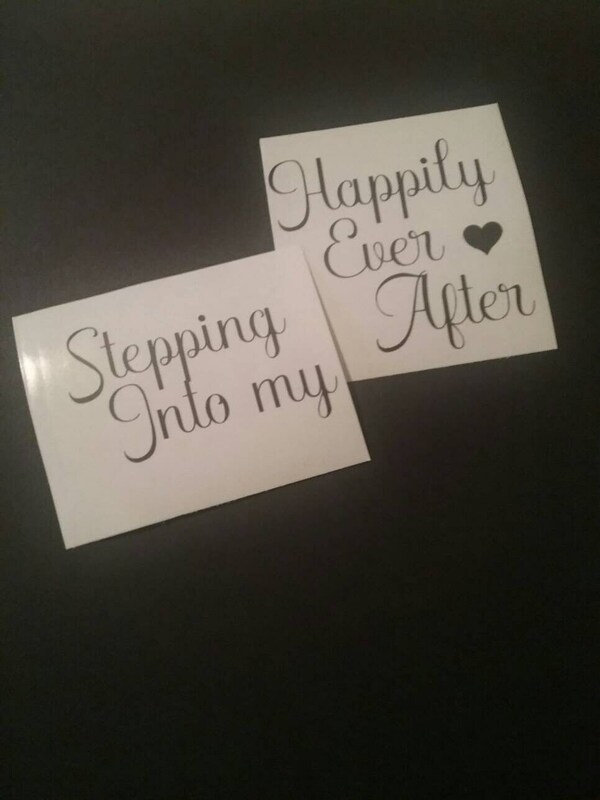 Decals are Waterproof with no background & Easy to apply instructions are included. Listing includes decals only. No shoes will be shipped with an order.